A wireless system for our guitars will bring us the freedom we all seek at times. We’ll be attaining not only versatility and mobility to strum and shred, but also give us a nice look on stage without a pesky wire following us around at all times. Or perhaps you’d like to have some convenience at home or practice for an easier time all around — anything is possible here when we grab one of the best wireless guitar systems. 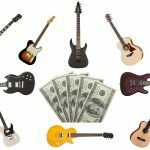 We found a range of wireless systems for guitars below not only in terms of price but also playing level or perhaps other special features that we feel may spark your interest. Let’s keep a few things in mind before we get into some models we’d like to recommend you. For one, and although we always mention this first in our shopping guides, how big your budget is is very critical here. In particular for wireless musical instruments, we typically do not recommend going for ‘budget-friendly’ models if we can. The key component for wireless gear is disruption, since more expensive models typically have better technology for connecting your transmitter and receiver. These include automatic scanning, back-up channels for on-the-fly frequency switching, and more. They also have more available channels for your initial setup, which can help you find that ‘money spot’ for wherever you’re setting up. This is especially important for those playing big shows and can’t risk frequency interference, possibly ruining your entire set (can you imagine during a guitar solo in front of more than a few people?). 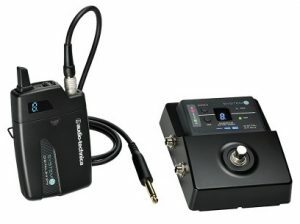 At the same time, those needing a simple solution to a wireless guitar system for smaller uses, such as band practice, personal practice by yourself at home, beginning learning, or any other setting which interference may not be the end of the world, a cheaper, budget-friendly wireless system for guitars can be just fine. 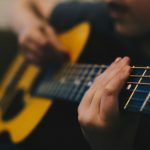 Guitar\bass compatibility is big here, although we wouldn’t worry too much as pretty much all electric instruments with standard plugs are compatible with wireless systems. 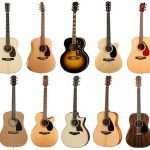 These include, but aren’t limited to, electric guitars, bass guitars, electric acoustic guitars, and more. One key factor to keep in mind are active pickups with wireless systems, and if you’re indeed using an instrument with one we recommend you double-check the user reviews for the wireless system’s reputation since that isn’t always a popular compatibility. This is due to the fact that active electronics are sometimes wired with inverse polarity that can cause your transmitter to go into a ‘protection mode’ that will ultimately halt it’s functionality (the signal can become distorted). It may take some rewiring, which be a bit advanced and not worth the risk. On the other hand, if you indeed use an active pickup, make sure your system has sensitivity controls to help tweak your levels. Also make sure your guitar amplifier can work with the system you buy (most are completely fine, but always double-check). Operating range is also important to keep in mind, although all models we recommend are at least 100 feet or more. We don’t know too many guitarists or bassists who absolutely need more (there are some that go up to 400 feet out of sight), but it’s something to keep in mind in case you’re planning on being very far from your receiver. Lastly, take some time to learn about frequency pairing. This is mostly for those who want to set up their frequency channels manually, since quite often nowadays a wireless guitar system will have ‘automatic syncing’. We found a few of our favorite resources on more information here (you’ll definitely need to take at least a little time to learn about this if you aren’t using a sound engineer): PMTOnline and this video (with a model we have recommended below as well). Any ‘wireless’ guide on our website typically includes a Shure model within the first few picks, and this isn’t a coincidence — in particular with their wireless systems, they know what they’re doing and have the reputation to back it up. To kick off our guide as the best wireless guitar system, the PGXD14 has too many user reviews backing up its effectiveness to ignore. You’re getting a package of their PGXD1 bodypack transmitter, PGXD4 receiver, and WA302 instrument cable. For the transmitter, we have up to 10 hours of continuous use with two AA batteries and about 200 feet of operation range. 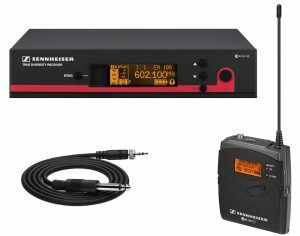 The receiver works on a 24-bit, 48 kHz digital processing resolution which is very high in regards to guitar systems out there (yes, that price-tag is the justification here), and you can even pair up to 5 channels per band if needed. As far as the instrument cable goes, it’s 2.5 feet in case you need some extra wiggle room, and connects using a 4-pin mini connector. A few additive features also include a belt clip for the transmitter, power and muting, battery status with LEDs, and a decent 26 dB adjustable gain. If you can afford it, the Shure PGXD14 is one of the best wireless systems for guitars in the market today. Up next, we’ll stick with high-end for now as another pick to be the best wireless guitar system in the U-1100 GT by Nady. This is about half the retail price of our previous Shure pick so if you needed to save some cash, this could be the one for you. We have a whopping 100 channels available to get that frequency just right, and pair this up with the fact that it uses ultra high-frequency (UHF) with phase-locked loop (PLL) gives us confidence we have help with a stronger connection and decreased chances of interference. 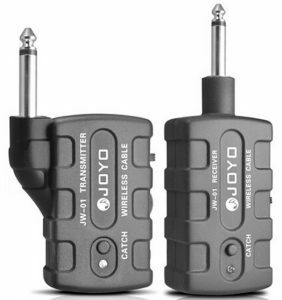 The transmitter uses an infrared (IR) sender and you can operate this thing for more than twice the Shure at 500 feet, so if you need a further range this may be a determining factor when comparing to our first pick. Lastly, the build of the Nady U-1100 GT is a rugged ABS housing, so this is a wise long-term investment if you plan on traveling tons to gig or practice. The user reviews again with this guitar system doesn’t lie, so all in all we have confidence in not only the tech specs of this model but others experience backing it all up. 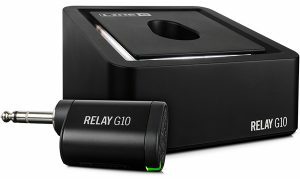 The Line 6 Relay series as a whole is worth checking out, but to give you one of our favorites, the G10 is both reliable and high in quality. It’s very easy to use and is essentially considered plug-in and go since the transmitter has an auto-detection function for the “best channel” at that given moment. This may be a nuisance for some since customizing wireless transmitters and receivers in regards to the channel may be preferred (you can still do this as well), but for others it really isn’t worth the time. Most guitar types are compatible with this one here as well, and their inclusion of both an XLR and 1/4″ outs aids in that versatility if you need it. Another highlight we love about the G10 is the rechargeable transmitter. You get about 8 hours of playing time each charge, but there’s no need to hassle with batteries. This however may a con for some — bringing extra batteries to switch out during a performance, practice session or even road trip may be preferred since you don’t have to rely on a rechargeable battery, but we’ll leave that preference up to you. Lastly, the Line 6 Relay G10 has some smart controls on the unit itself, such as character matching to decrease pops, as well as light up capability for easy syncing and battery status monitoring. This is one of the best wireless guitar systems out there since it’s so advanced, and quite affordable at the same time. Here’s another fan favorite as the best wireless system for guitars. The U2 has a different personality in not only the design but how it operates as well. You’re getting only about 6ms of latency with the connection and a standard 20 Hz to 20 kHz frequency response, all with a 100 foot range (not too high, but it’ll all depend on your intended setting) as well as 5 hours of use per charge. It does use a Li-ion battery but the smaller specs in regards to use and operation may be a con for you, but for those who can get away with it will be a solid solution for your guitar. 100 feet to us is still plenty. The resolution is very feasible at 24-bit/48 kHz and it’s made of a sturdy ABS plastic so it won’t be breaking easily. It’s compatible with electric, acoustic and bass, but be careful in regards to active pickups and electronics as we’ve heard there is a noise issue with it. We’ve heard of it working well with various amps and pedals. 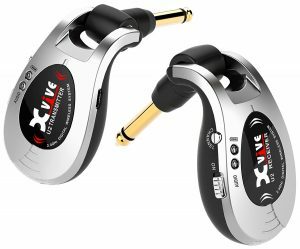 The Xvive U2 is another one of the best wireless guitar systems to keep in mind if our previous three picks didn’t peak your interest yet. A Sennheiser wireless system for guitars is never a bad idea, but this is in the middle of our guide since it’s one of the higher-priced systems we’ll recommend. However, if you have the cash, this is the real deal. 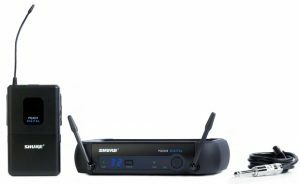 It comes with their EM 100 G3 receiver, SK 100 G3 bodypack transmitter, and Cl 1 instrument cable. The AF frequency response here starts at 25 Hz (great for bass players) and has a 42 MHz bandwidth with 1680 tunable UHF frequencies. You also have a bank system for your frequencies for up to 12 compatible setups. 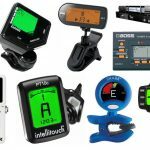 Another feature that many don’t necessarily need but can be a plus for those who find it important is the built-in guitar tuner located right on the display itself — why not? This however is where you’re spending your money — extra features. We’re talking automatic frequency scan, infrared interface, many control options on the menu, auto-lock function, an HDX compander for better digital sound processing, programmable mute function, integrated equalizer and more. We could go on for many more paragraphs about the Sennheiser EW 172 G3, but to put it simply, if you want the actual best wireless system for guitars and have half a grand retail to spend, you won’t be disappointed with this one whatsoever. 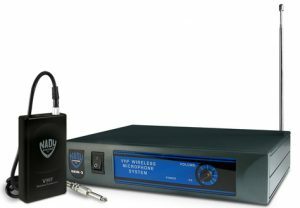 Halfway now into our guide of the best wireless systems for guitars, another Nady model here is a must to recommend if you’ve reached this far down. The DKW-3 GT brings us into a very budget-friendly price-range and gives us a cheaper solution in case you didn’t want to spend hundreds on a system. There will definitely be drawbacks to spending so less, but we still have some decent quality and features here. You have a step down from UHF and instead work with VHF, attaining 170 to 216 MHz for pairing. The range of operation is decent at 150 feet and up to 300 line-of-sight, while the audio processing has a decent range considering the price (80-14,000 Hz). The Nady DKW-3 GT is deal for entry-level guitarists who need a simple solution to practice on their own at home. Here we will recommend an entire series, since choosing just one was ultimately too tough. They also have quite a few models in here that steer their way towards those with different personal needs, such as different operating ranges, hours of use, as well as pedalboard-friendly enclosures or single-channel receivers. 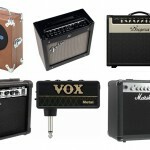 All of them operate on a standard 2.4 GHz frequency band and offer up to 4 compatible systems in typical guitar settings. A big standout here is their use of something called ‘LINKFREQ’ technology, which is an automatic frequency manage system to work with the 2.4 GHz frequency band to further avoid interruption. It scans available frequencies and automatically identifies the most ‘open’ group and channel frequencies so you aren’t joining an already-cluttered band at that given time. 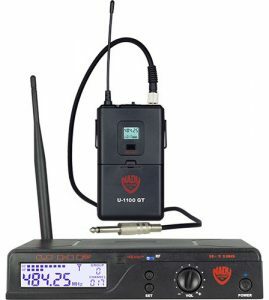 The transmitter communicates with the receiver during this process and can automatically switch to back up frequencies, which is to us a big standout, especially if you’re playing big shows and can’t afford a lapse. The Shure GLX-D Series is huge and well-worth the money, especially if you’re needing reliability and ultimately less stress overall. Nearing the end of our guide, the Donner DWS-2 makes it’s stake in this list of the best wireless guitar systems due to the mid-range price-point with reliable and decently-advanced features. Here are some of the specifics off the bat: 2.5 ms latency time, 1 hour charge for (only) 2.5 hours (Lithium rechargeable), a little over 100 feet of range, and an ABS plastic build. In regards to transmission, you have 4 sets working at the same time if you need be, and it’s compatible with most electric instruments, such as electric guitars, bass, and electric-acoustic guitars. We recommend the Donner DWS-2 if you needed an entry-level wireless system for your guitar and had a little more cash to spend as compared to the previous beginners Nady model we recommended. Operating on our needed 2.4 GHz band with the ability to connect to multiple amps with their ‘sync feature’, we have a very easy plug and play sync with our guitar or bass. Also included is some Bluetooth technology which is something we haven’t seen quite yet and although not really needed, can come in handy if you wanted to simply practice alone and wanted a quick and easy connection. The nifty synchronize button entails you hold the transmitter and receiver about 1 meter and they’ll do the work on their own, and will communicate to stay matched while you play until you need to match them with a different unit. You can hook it up one instrument to one or many amps depending on how much power you’ll need for that gig or practice session, but we recommend the JOYO JW-01 for those who are in smaller settings or shredding on their own time. Let’s end this guide on a high note. Here’s another series we couldn’t pick just one of, so summing up what the many models of A-T’s wireless guitar systems is feasible here. Although more legendary in the wireless mic system category, their instrument versions are very high-end. They have models compatible with your stompbox, or others for more simpler needs (and for less money). Some of the tech in here worth noting for you includes their ‘Frequency Diversity’ feature which sends the signal on two dynamically allocated frequencies to disallow any disruption. Their ‘Space Diversity’ technology also helps for signal strength with two antennas on the receiver, but overall the System 10 wireless systems just scream reliability, not only in regards to the connection with your guitar and amps but the overall build of these as well. 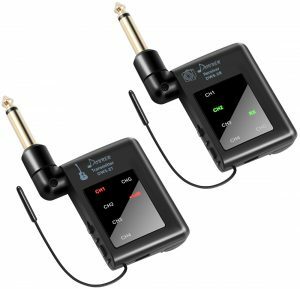 If you can invest some money into your pick, the Audio-Technica System 10 is by far a series that strongly ends our guide for the best wireless guitar systems in the market.